If you were born between 1980 and 2000, you are a member of the Millennial Generation, and you’ve come to the right place. Millennials have inherited a unique and special set of challenges that no previous generation has ever had to contend with. Worse yet, there are no experts in dealing with these challenges, because no one has ever had to do it before. Basically, you’re on your own. 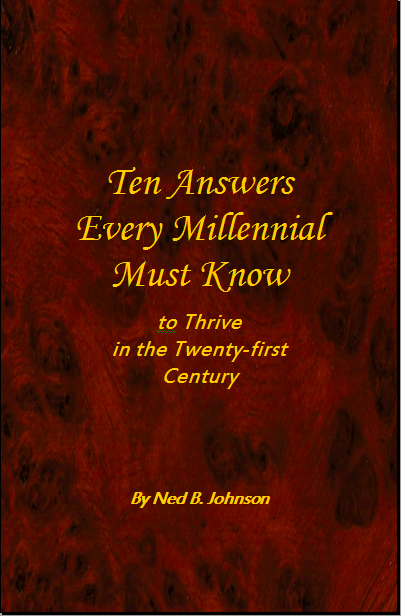 Ten Answers Every Millennial Must Know is an eBook that describes these challenges, explores their backgrounds, and suggests solutions that can take you beyond them. Best of all: its a free gift to you, just for asking. Simply tell us where to send the download instructions, and click on the button below. According to the latest research, the following are among the most common questions troubling Millennials. Between a third and half of them say that they ask themselves these questions at least several times a week, and a third to have of those ask them several times a day! Have you lain awake at night asking yourself those questions, or ones like them? If so, you have a lot of company. They are among the signature issues troubling Millennials these days. My promise to you is that by the time you reach the end of Ten Answers Every Millennial Must Know, you will have new answers to those questions, or at the very least understand their meaning far better than you do at this moment. And that, as they say, ain’t chopped liver. Ten Answers Every Millennial Must Know Now! Where shall I send your download instructions?